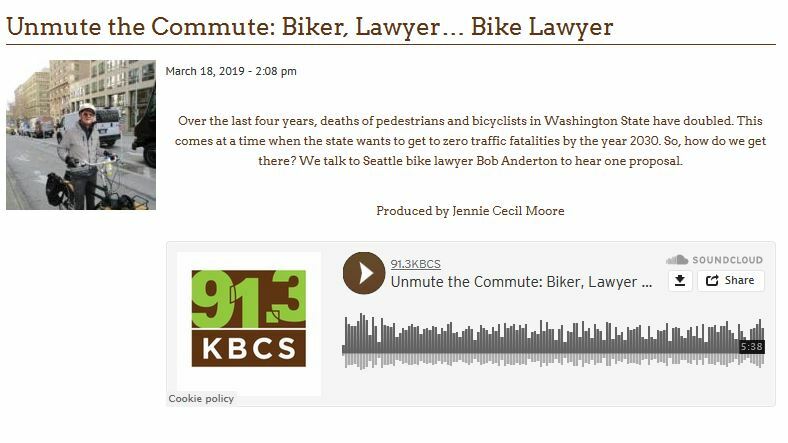 Washington Bike Law’s Bob Anderton interviewed for the series Unmute the Commute on 91.3 KBCS. 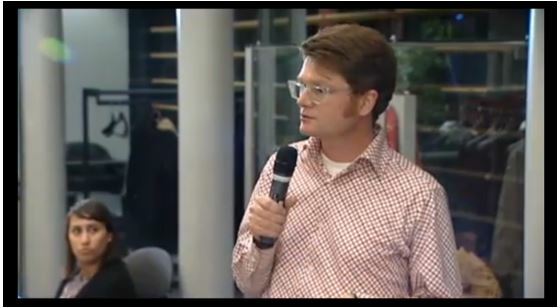 In what was supposed to be a 5 minute segment, Bob managed just under 7 minutes, edging ever closer to the promised 15 minutes of fame. If you have 7 minutes to spare, listen as he discusses #PresumedLiability and Washington Bike Law’s commitment to Bike Works and Seattle Neighborhood Greenways, among other topics. “We need space where everybody feels safe, and one of the ways to do that is to expand areas where bikes can be– that helps people walking, it helps people riding bikes, it also helps people in cars– because when people are out riding bikes (like some of our councilmembers) that means they’re not driving cars and so that’s more room on the streets for cars. Bob Anderton helped with a USDOT safety assessment of large vehicles with pedestrians and bicyclists in April of 2015. Other federal government participants included the FMCSA, FHWA, NHTSA, FTA, FRA, as well as the Seattle DOT. 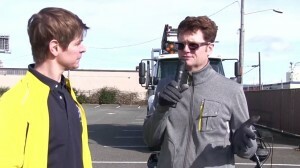 Bob Anderton helping with a USDOT safety assessment of large vehicles with pedestrians and bicyclists in April of 2015 – still from USDOT video available on Youtube. StreetsblogUSA on March 13, 2014 quotes Bob Anderton’s talk at the 2014 National Bike Summit in Washington, DC. Full video is here. Bob’s comments begin about 64 minutes in. Washington Bike Law is the first BizCycle certified business by Cascade Bicycle Club. As reported in the Cascade Courier. […] Representing bike messengers, commuters, recreational bikers as well as racers, Anderton has seen all sorts of incidents. Bikers get doored, backed into, broadsided, sideswept…you name it, he’s seen it. “In the cases you’ve handled, is it always the car’s fault?,” I asked. “Wouldn’t that be nice,” Anderton said. “I drafted legislation to always make it the car’s fault, which is what we call strict liability.” There are strict liability laws for things like dog bites. It is always the attacking dog’s fault unless the dog was provoked. In the case of bicyclists getting hit by cars, the strict liability would place the car driver at fault but defense arguments could be that it was dark and the bicyclist didn’t have any lights or the bicyclist got hit after running a red light, etc. 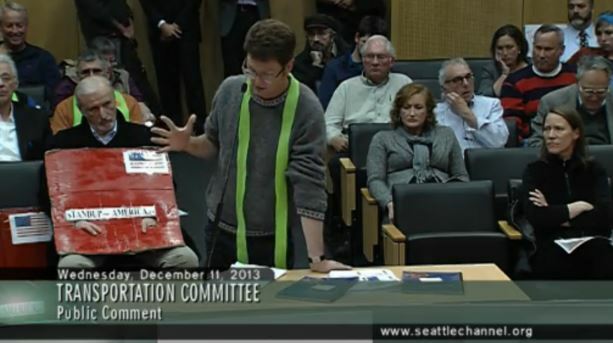 […] “I’ve not heard of SPD impounding a bike because the rider wasn’t wearing a helmet, so no, I don’t think we would do that,” department spokesman Mark Jamieson said. 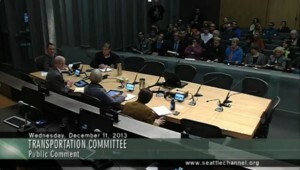 […] The helmet law is buried in the County Board of Health Code […] Seattle attorney Bob Anderton also created a Web site about local bike laws. Attorney Bob Anderton, who rides his bike to his downtown office every day, represents riders in personal-injury claims. He says while some officers pull cyclists over for legitimate reasons—helmets are required by law, and cyclists have to have front and back lights at night—there are plenty of cops out there who just don’t understand cycling. “I talk to quite a lot of people who get in accidents, and the police come and [give cyclists] tickets for things they shouldn’t get tickets for,” Anderton says. For example, he says, cyclists have complained about getting tickets for “following too closely” when cut off by a car. You can review the final letter and download a PDF of the final House and Senate letters at the following link: http://www.saferoutespartnership.org. As you meet with or contact Members of Congress, we encourage you to include this letter and this ask in your transportation discussions. […] last Friday bicyclists on a Critical Mass group ride through Capitol Hill clashed with a motorist who was blocked by their passage. The driver refused to wait. The crowd refused to back down. And the final picture was one of slashed tires, crumpled bikes and bloodied bodies. But the issue of blame was yet to be drawn. Then came the reporters. The media fallout left many wondering who had really done what, and to whom. Bicyclists felt unfairly maligned by the press. And the incident raised broader questions of who has the right to the road. What are the factors contributing to violent interactions between those in cars and those riding bicycles? Is there rising road rage between two pedaled and four wheeled road users and what role does the media play? Guests: Davey Oil, co-founder The Bikery Collective, Bob Anderton, Seattle Bike Attorney, Larry Hildes attorney for cyclist David Maxwell. We gave away 75 helmets and over 100 bike horns! Bob Anderton, a Seattle-based lawyer who bikes to work, said his business has climbed to 80 percent injured cyclists. 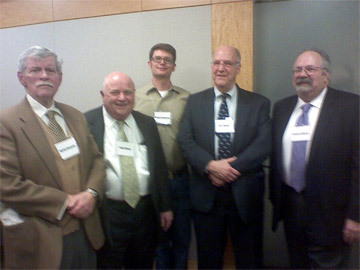 Bob and other Housing Justice Project volunteer attorneys receive awards for ten years of service.